Children's art and craft group 10.15-11.15 at St Catherine's Hall, Park Road, Frome. Refreshments included (real coffee and homemade cake!). Contact Morag to check availability and to book a place. 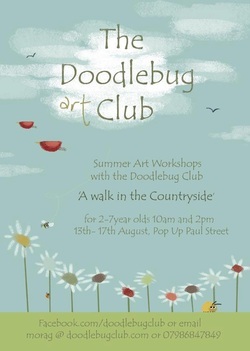 There are also some Doodlebug Club sessions during the summer holidays. Find the Doodlebug Club on Facebook.